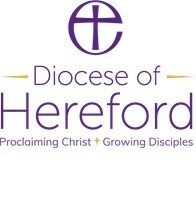 The Diocese of Hereford is the Church of England across Herefordshire, south Shropshire and a few parishes in Worcestershire, Powys and Monmouthshire. We share in God’s mission today by inspiring our generation - our friends, families, neighbours, colleagues, the people we meet - to follow Jesus Christ. We do this through inspiring prayer, all ages, our schools, churches, and communities. 3: Reimagining, sharing ministry for 21st century mission. And we have a shared commitment to focus and grow our resources where there is greatest mission need and opportunity. Join us today by supporting the mission and ministry of the Diocese across our 350 parishes and 400 churches. Your regular gift will make a real difference to achieving our shared priorities. Thank you!